It's all very well wanting to use the former TV UHF channels 61-69 for future 4G LTE. To get decent analogue / digital TV reception of C61-69, you needed a decent aerial, ideally group C/D. So does this mean you'll need a group C/D aerial for a 4G mobile phone? Even the smallest C/D aerial (10 elements) intended for a storng singnal area is quite big; way too big and impractical for people to carry around for use with their mobile phone / smartphone. Nicholas Willmott: Normal mobile phone internal aerials are used for LTE. That is all that is required. Thanks Briantist. It amazes me that a tiny internal aerial will work for a mobile phone in the 791-862 MHz range, yet that same frequency range (C61 to C69) required such large group C/D aerials (ideally rooftop mounted) for decent TV reception. How is it possible to for such a minute aerial as used in a mobile phone work for a 4G LTE mobile phones, yet not for TV. It's the same frequency range at the end of the day. Further to my last post, I've looked at the complex frequency chart mentioned at the top of this page. I see that the range 275.0GHz to 300GHz is labelled Not Allocated. If that range is not allocated (vacant), why don't they use that range for 4G LTE, and not bother using the former UHF channels 60 to 69? Nicholas Willmott: Yes the same frequency range but with transmitters much closer! You have to remember that if you live nest to a freeview transmitter chances are you don't need an aerial to pick up freeview! (I have done this with Wenvoe!) 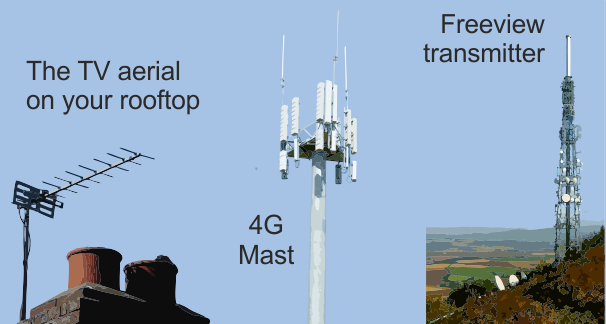 There will be many many 4g transmitters dotted around like mobile phone masts meaning that the signal will be strong enough to pick up with the tiny phone antenna. Also the reason that they want to use the 800MHz range for 4g as it is (please correct me if I'm wrong!) a sweet spot. I.e. it will work better within these frequencies than any other. Hello, I live in Worcester and since Dec 2012, I have experienced random, intermittent signal quality problems, that I have never had prior to late Dec.
My TV set-up function tells me the TV signal is strong, but the signal quality is poor or non existent. Sometimes it seems to affect certain channels, sometimes all, but more often than not we are left with only awful shopping channels, which we don't watch anyway! Can you tell me what is going on & what to do about it? Our TV ariel seems fine & on the days the signal quality doesn't drop out, we have an excellent picture. Jo Dee: It could be a number of things really. What I find if the signal is strong but quality poor is an amplifier (if you have one) is failing. Although in your case as it is intermittent that would seem unlikely. Does the aerial lead go straight into the back of the TV/freeview box? or does it go through an old video recorder first? 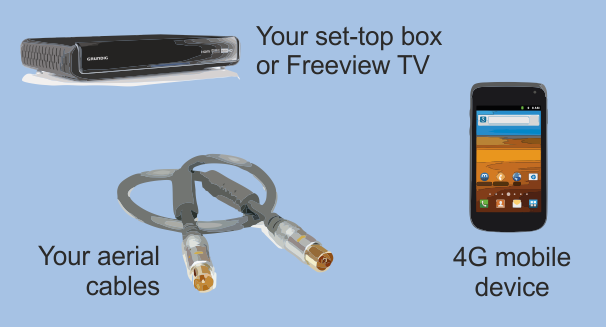 If the latter try running the cable straight into the TV/freeview box. Do you notice it gets worse when it rains? If so you may have water getting into the system. Lastly, is there an aerial socket in the wall? or does the cable come straight through the wall? If there is a socket the problem could lie there. For the last week we have been unable to receive BBC stations (any) but the ITV (1,2, Channel 4, 5 etc) set are still available. TV has been checked. Aerial hasn't been moved/touched. Steven Tracey: What is your postcode as it is difficult to give technical info without first knowing exactly where you are.